Bathing in warm water opens up your pores and cleanses your skin from the inside out, leaving you soft and supple. 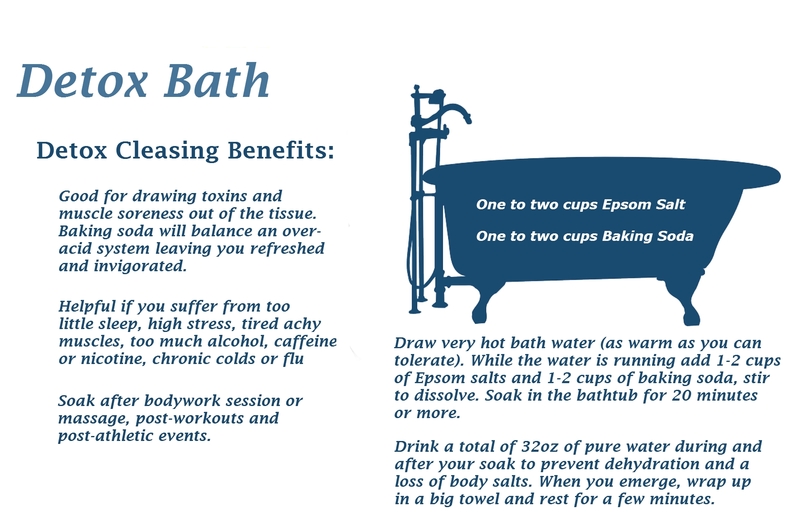 Detox baths are good for drawing toxins and muscle soreness out of the tissue. Baking soda will balance an over-acid system, leaving you refreshed and invigorated. Relax and soak for 15-20 minutes so your body can sweat, detox and absorb all of the nutrients. Rinse off with a cool shower. Make sure you drink plenty of water before, during and after your bath to aid in the detoxification process.